Bikes have a long history as beautiful specimens for human transport—fun to ride and damn good looking, too. Helmets, however? 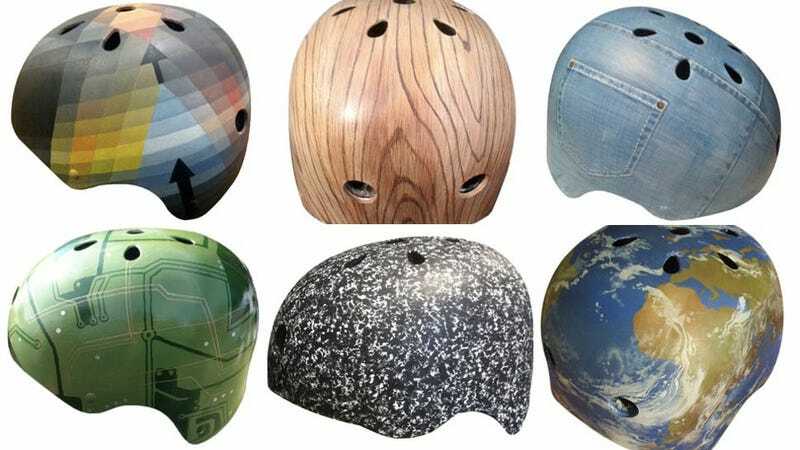 They’ll protect your skull from being smashed on the pavement, but are pretty widely reviled from a fashion standpoint. People often don’t wear ‘em because, well... they just don’t look cool. 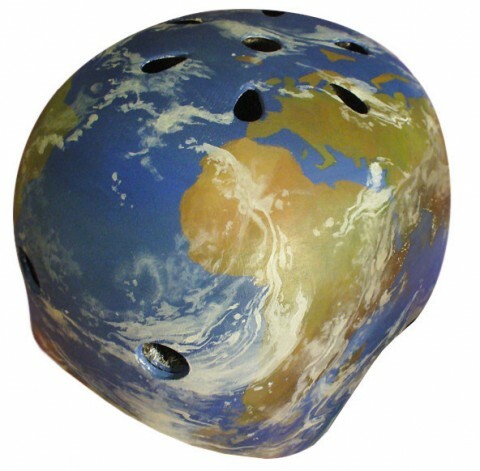 So, question: would you be more inclined to be street safe if your helmet was a one-off work of art? Belle Helmets is the brainchild of illustrator Danielle Baskin, who believes that hipping up the accessory will encourage more people to strap one on. Using non-toxic acrylic paints and water-based varnishes, Baskin adorns the CPSC-certified gear with everything from plaids to maps to pineapples. Some of these are admittedly very, very goofy—this denim model brings new meaning “butthead”—but some are super nice (I’m I’m partial to Klee and the composition book-esque Snow). She also does custom orders, so perhaps you could send her a pic and she’d do a realistic depiction of your own hair—a little trompe l’oeil magic.